WRITTEN (KNOWLEDGE) TEST - $29.95 FOR TWO ATTEMPTS FOR THE SAME PERSON. $15.00 For the 3rd Attempt For The Same Person. Available in 7 languages. Please Join Us For Parent Night!!! May 7th @ 6:00 P.M.
June 5th @ 5:00 P.M.
One of our instructors will be going over what to expect from the course! Please RSVP via email, so we can prepare enough info. packets. For Teen Driver’s Ed Parents Only! Minimum of 20 Students Enrolled Per Class Required. Drivers’ Education taught by Police Officers! 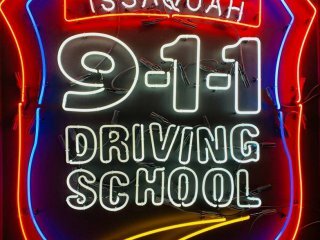 911 Driving School of Issaquah is owned and operated by a former Law Enforcement Officer From the Union Gap Police Department. We teach today’s teens and adults how to become tomorrow’s safest drivers, making the roadways a safer place for everyone. ONLY a Law Enforcement Instructor here at 911 can provide such a vast amount of knowledge, trust, experience and hundreds of real-life stories, making this the finest Drivers’ Ed program in the nation! We Are Hiring Instructors! Basic Qualifications Below, Contact us for more Information. Former, Current, or Retired Law Enforcement Personnel from the Civilian Side or Military Side. For a faster check in process, please register for a knowledge test under the State Testing tab below. If you have a Student Account Please do not create another. Call/Email Us for help! Please arrive 30 minutes before the scheduled start time to assure you get checked in. You will have 50 minutes to complete the test unless otherwise told by the Examiner. More than 1 attempt in a day will depend on Examiner Availability. Policy Merely States The D.O.L. Rules for a maximum of 3 attempts in a 24 hour period, and does not Guarantee more than 1 attempt in a day. Adult Lessons are Limited due to Staffing and Available Vehicles. Please call the office regarding our available adult packages, so that we can match your schedule needs with an available Instructor. 5 Hours Behind-the-Wheel Driving Lessons scheduled outside of classroom time. You can choose the times and dates that best meet your schedule via our 24 hour web scheduling system. Drives are done 1 hour at a time. 6 Hours Behind-the-Wheel Driving Lessons scheduled outside of classroom time. You can choose the times and dates that best meet your schedule via our 24 hour web scheduling system. Drives are done 1 hour at a time. Before signing up for the Knowledge test, please make sure you have received your confirmation number from the DOL. If not, you can apply for it online through their website. Once you have this number please sign up for one of the scheduled days and times. Please bring your photo ID and DOL confirmation number with you. We have Nissan Versas. You do not need your own insurance to use our cars. The WA State knowledge test must be passed before a Road Test can be provided. We can provide you with a temporary permit to take the test if you do not have a WA permit or license from another country.